Dot-o-mator is a domain name generator and lookup tool that helps you come up with potential domain names for your website or business. 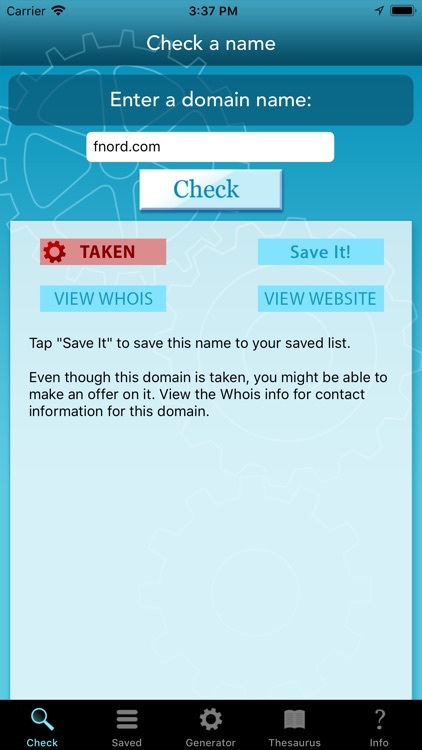 The built-in Whois tool also shows you information about domains that are already registered. 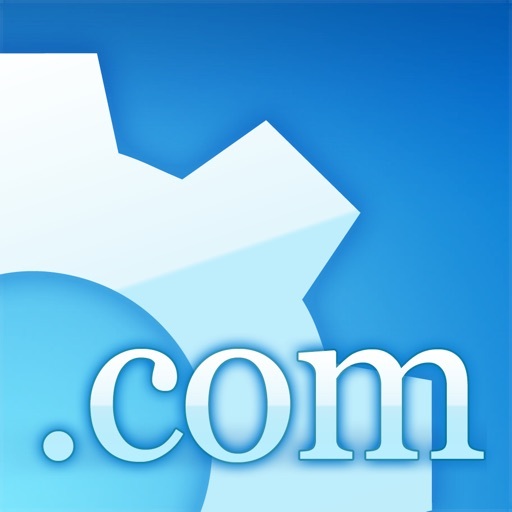 Use Dot-o-mator's Check tool to check the availability of any .com, .net or .org domain name. Just enter the domain name in the check field, and Dot-o-mator will show you if its available or taken. 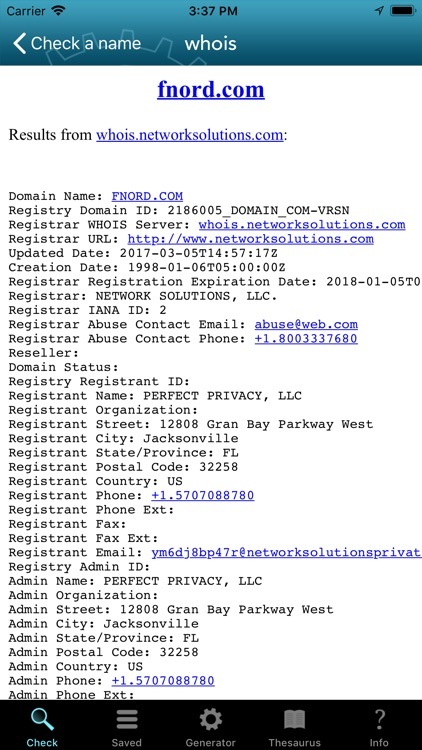 If the domain is already taken, you can view the Whois info to see who owns it and when it expires, or view the domain's website. If the domain is available, you can register it with the "Register Now" link (registration links open in Safari). When you find a name you like, you can save it to your Saved Names list. You can also e-mail one or all of your saved names to your email address. 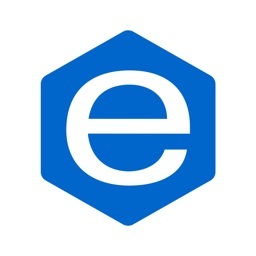 The email includes a link to register the domains with your favorite registrar. Dot-o-mator's Name Generator creates names by combining words: the word you enter, plus a list of word endings. 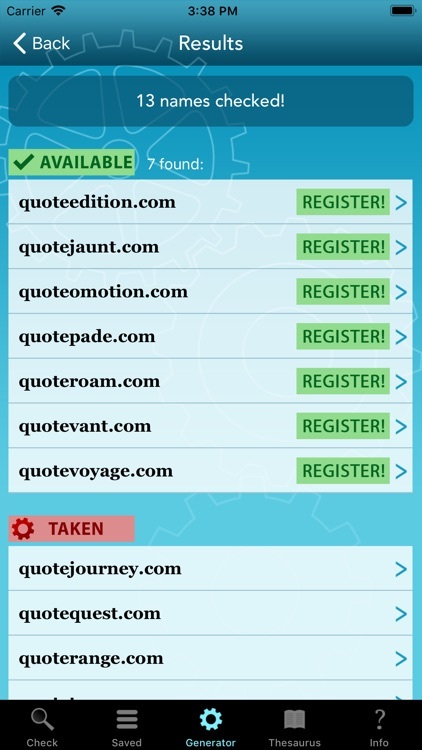 So if you enter "quote" in the word field, and select the "Travel" endings, you get names like "quotejaunt.com", "quotetour.com", etc. This app automatically checks the availability of all the generated names at the same time, so you can easily see which names are available! You can customize the Name Generator's endings lists by adding or removing words, and create your own endings lists for even more name combinations. 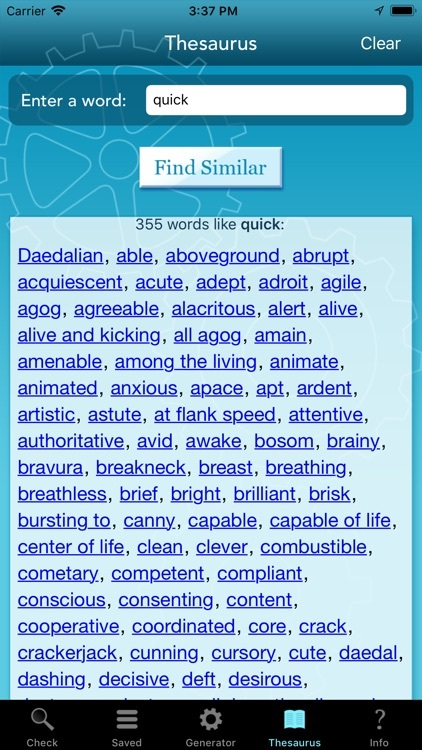 The Thesaurus tool gives you even more possibilities for names. 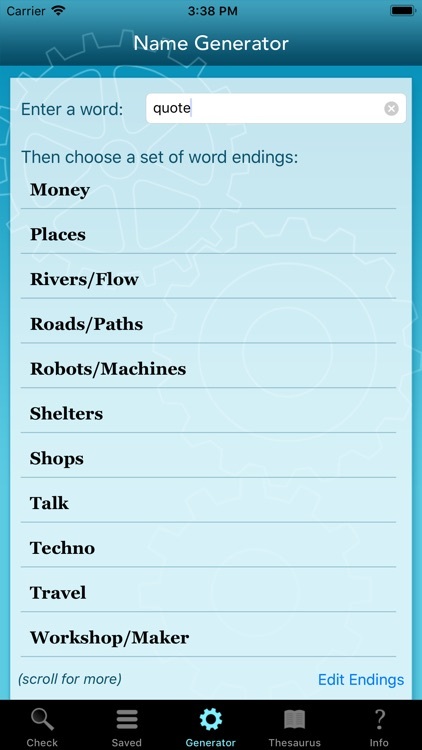 Enter a word in the thesaurus field and tap "Find Similar" to get a list of related words, then tap on any of the resulting words to either define the word, check that word as a domain name, or use it in the Name Generator. There are thousands of possible combinations! 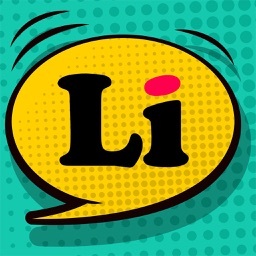 Visit Dot-o-mator on the web at www.dotomator.com for more domain naming tips and tools.